As on so many other things, Theresa May’s record on Brexit and the NHS is one of failure. It’s typical of the government’s wider Brexit incompetence: no vision, no grasp of the complexities involved and a dangerous denial about the risks of failing to find agreeable ways forward by next March. We saw shock headlines at the weekend when NHS chief Simon Stevens admitted that the NHS is now contingency planning to deal with the impacts of a ‘no deal’ Brexit next year. As 29th March 2019 inches closer, there is an incredible lack of clarity from the government on future agreements for UK/EU medicine, and pharmaceutical regulation and supply arrangements. Brexit has already led to the departure of the prestigious European Medicines Agency, which saw 900 jobs leave London. If we fail to reach a new agreement with the EMA, patients in the UK could wait for months and possibly years longer for new medicines. Day-to-day medicine supply could be disrupted if there is a failure to reach a suitable customs and trade arrangement. Questions also remain unanswered on the UK’s participation in EU-wide clinical trials, vital to advancing research and finding new treatments for serious diseases. This week we celebrate the 70th anniversary of the NHS, and in doing so we recognise the incredible efforts and daily commitment of health service staff. I recently made a speech in the European Parliament to thank our NHS staff and specifically the 62,000 people from other EU states who work across our health service. Since June 2016 they have faced uncertainty and worry about their future rights. There is an acute recruitment crisis across the NHS and health workers from across the EEA, and indeed from across the world, are key. The Tory government should have acted sooner and more decisively to provide reassurance to EEA NHS workers: 10,000 EU nationals have already left the NHS since the referendum. There are unique complexities arising from Brexit for the NHS and health policy. But that is no excuse for the government’s lack of progress in negotiations on these areas. Labour has been consistently clear on all these issues. Shadow Health Secretary Jon Ashworth travelled to the European Parliament in Brussels earlier this year and set out clear statements of intent on protecting NHS staff, prioritising the negotiation of continued reciprocal healthcare schemes, and participation in EU-wide research programmes and medicines regulation through the EMA. With so much focus on the House of Commons Brexit votes, it is sometimes overlooked that the European Parliament will vote on – and will have to approve – the UK’s withdrawal agreement. It would be a mistake to assume approval from MEPs will be a mere formality. There are big issues at play and I for one will judge the withdrawal agreement on what it will mean for our NHS. I will not for vote for any withdrawal agreement that will damage our NHS or compromise patient safety. Labour MEPs will not let patients suffer through a bad Brexit deal. In its 70th year, our NHS faces many challenges: make no mistake about it, a bad deal or a hard Tory Brexit would cause untold pain to our health service. 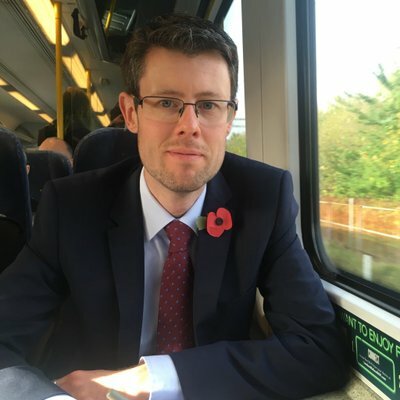 Rory Palmer is Labour MEP for the East Midlands and Labour’s health spokesperson in the European Parliament.